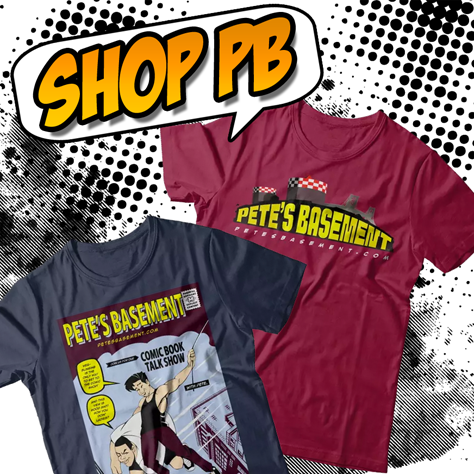 It's a Petes-Squared roundtable this week! And what a week it was! Jon Cryer makes his triumphantly villainous debut as Lex Luthor! The Disney/Fox merger finally reaches the finish line. The Stranger Things trailer drops! Pete just got his new Mondo He-Man figure so get ready for the grand unboxing! Plus great comics to review, as well what music makes you wanna' blast the volume, and what the proper filling for raviolis is. There's a true classic Basement episode just waiting for you to hit the play button! Internet trolls are grinding Pete's gears tonight as the rants about Zazie Beetz as Domino and #MakeMineMilkshake have really driven him over the edge. Amidst bodily harm and even death being wished upon people in abundance, there are some great comic reviews: Albatross' Galaktikon has the Cheezeburger geeking out over some guitar riffs. Elsewhere is a favorite of Ramon's, and Pete's rooting for the underdog in Mech Cadet Yu! What? You want more? Extra!! 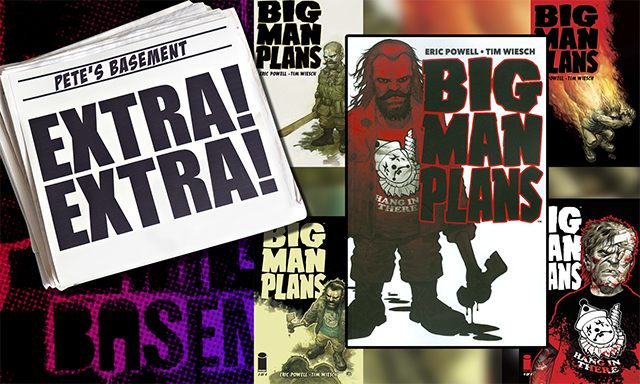 Big Man Plans by Goon Creator Eric Powell Review from Pete's Basement!